St Erme Parish Council work in partnership with Cornwall Council to provide the street cleansing in our Parish; we employ a street cleaner who is responsible for emptying the litter bins and carrying out litter picking in the areas within the 30mph speed limit. Our street cleaner also carries out additional duties such as cleaning the council's noticeboards and checking the council's play equipment. 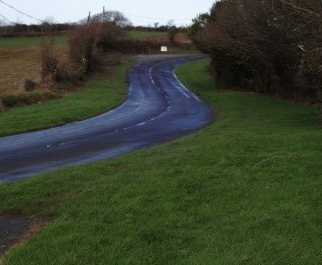 We work in partnership with Cornwall Council to carry out the grass maintenance of a small area within the village of Tripsen Hill and have chosen to maintain the grass verges along the full length of Trispen Hill at a higher level. This is carried out by a contractor on our behalf. 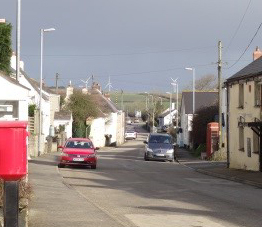 The areas at Eglos Road, Killigrew Gardens, Polglase Walk, Trevella Vean, Polisken Way, Tower Road and Chancery Close are maintained by Cornwall Council and Truthan View is managed by Blenheims Estate and Asset Management Company. Cornwall Council does not have a statuatory duty to carry out weed removal and does not now do this. As a Parish Council we have chosen to carry out this service ourselves and treat all the areas within the 30mph speed limit. This is carried out by a contractor on our behalf twice a year. The Church Green is owned and maintained by the Parish Council. 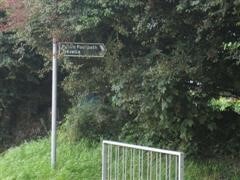 St Erme Parish Council works in partnership with Cornwall Council to maintain the PROWS in the parish. Further details on the PROWS and its maintenance can be viewed here. 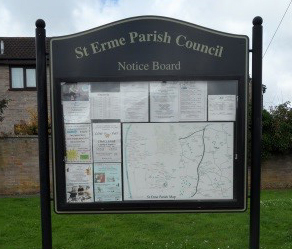 St Erme Parish Council owns and is responsible for the play equipment at the school park and the outside gym and toddler equipment at the Trispen football field. For more information on the play equipment in the parish please click here. There is a public defibrillator on the wall outside of Trispen Post Office and Stores. We own and oversee the maintenance of this. 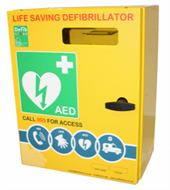 Please see more information about the defibrillator on our St Erme Emergency Plan page here. Trispen Hill down from the Public Phone Box. 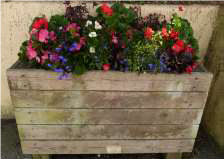 We own and are responsible for the two planted tubs by the noticeboard on Trispen Hill. St Erme Parish Council own and are responsible for the seat at the bottom of Eglos Road and Trispen Hill and the picnic bench in the school playing field. Please report any issues on the services we provide by contacting the Clerk.